This Conair Cuisinart Brew Central DCC-1200 12-Cup programmable coffee maker is definitely a popular go-to when it comes to out-of-the-box coffee makers for folks who simply cannot be bothered to go through the rigors of the grinding, pressing, brewing, washing, and so on. This is the coffeemaker that will save your time and nerves in the morning. Some of us, as much as we try, simply aren’t in the right state of mind when they get out of bed to deal with performing a series of potentially frustrating tasks. Let’s save those little precious taking-our-time moments for sometime after the dinner hour, perhaps. 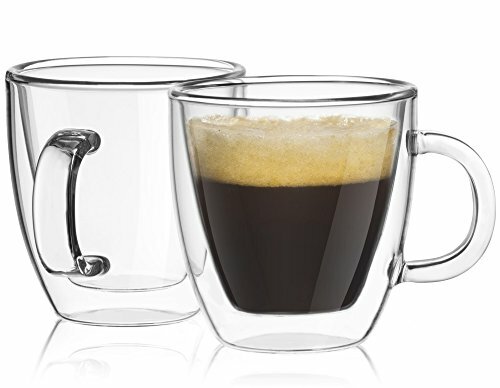 Since my 16-year-old daughter was constantly nagging me that I should buy our household a coffee maker (she drinks coffee like a fiend now, but at least she doesn’t smoke), I decided to buy our household (but mainly for her) a Brew Central for Christmas – if only to get her off my back. Actually, we were due for a new one so it wasn’t a big deal, especially considering the price of the Conair Cuisinart Brew Central. Not surprisingly she’s loving it, because its quick, easy, and doesn’t require a lot of tinkering with to get it going. Since she’s 16, I don’t really blame her for being exceedingly demanding, but I’m just glad that she’s stopped harassing me and we’re all happy with the unit thus far. As for the machine itself, here’s what I’ve noticed in the time we’ve had it – less than two months. I won’t lie, this is a pretty large machine for what I was first expecting (10.8 x 9.6 x 15.6 inches) and it isn’t light weight at all (6.8 pounds), but then again it is neither portable nor meant to be dragged around the house or wherever you go. If you ask me, it should be placed on the counter top and given a bit of room, if only to highlight the fact that its not a bad-looking machine. Personally, I have my Brew Central in my kitchen’s “coffee section” along with my Breville Smart Grinder and some other coffee gear I’ve acquired over the years. 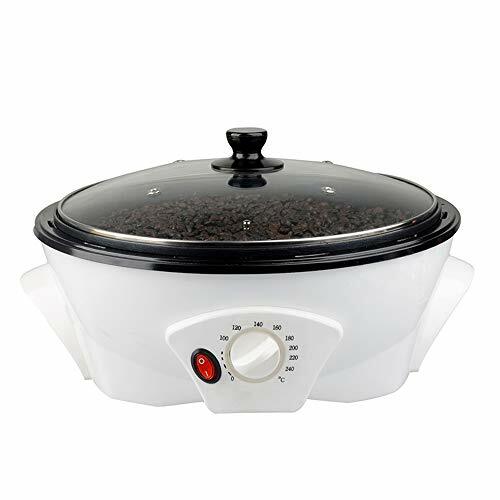 When it arrived just before Christmas, it came just as ordered – black and silver in color, and rather classy if you ask me and I would imagine it works just fine with most kitchen decors. Besides the classic black/silver it comes in metallic pink, red and completely black. When my daughter tore into the box, the first thing she got her hands on was the charcoal filter which goes into its holder (you can find it when you open the top lid, there is this scale-looking thing that is placed vertically down the machine in the left tank). The top container has a removable gold-colored filter and below it there is a filter basket. Now don’t be taken aback because this seems like there are a lot of parts. There really aren’t too many. Besides these pieces, you’ll get a measuring scoop, paper filters and of course a manual. At the bottom of the coffee maker there is a glass carafe with a steady handle and of course a lid. Now what I don’t like here is the lid that doesn’t open with a flip, which is slightly inconvenient. 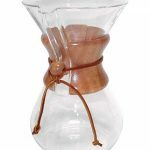 The glass carafe is positioned on a heating plate (on the very bottom of course) that is adjustable to low, medium or high, depending on your preference. 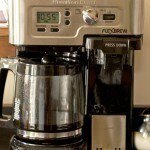 On the front of the coffee maker you will see several buttons, display and indicators. The one that you are supposed to use to adjust the heating place is the one on right (the largest one). The little ON-OFF indicator is set between the two big buttons and this way you can set the machine to turn off 0-4 hours after the brewing is done. The heating plate is scratch-resisting and has a black non-stick coating (thank God for that, otherwise it would be a real pain for cleaning). Also, all the parts of the Conair Cuisinart Brew Central Coffee Maker that come in contact with water are BPA free. This is a 12-cup coffee maker; you can see the measuring steps inside the coffee maker. Just open the top lid and it is located on the right (when holding the coffee maker with the front parts towards you). This is the place where you pour the water, so the measuring step will easily help you see how much you have poured (though I don’t know if older people or people who wear glasses can see it the best, I still think the measuring step was supposed to be on the outside). The front part has a display with a digital clock where you can see the time needed for the coffee preparation. The indicator on the left is the one for setting the time for the brewing. Now, if you don’t make all 12 cups of coffee, just press the very first button (this one is if you make less than five cups). The manual says that before you brew your first cups, fill the coffee maker with water and just let it run down without adding coffee (this is sort of like a test for the machine and at the same time it cleans it well so you won’t get your first cup with a plastic taste). The charcoal filter thing is used if you use a tap water; in case you use filtered water you don’t really need that filter. For preparation of let’s say 4 cups of coffee, add 4 scoops of your favorite blend inside the filter opening, and then pour 4 cups of water into the water reservoir. My friendly suggestion is to use the carafe; otherwise there is a fair chance you will pour water all over the coffee maker, just as my daughter did. Another tip – the maximum you can add when comes to coffee is 15 tablespoons, so keep that in mind. And also, you can always leave a little water in the carafe, because some of the water you poured in the coffee maker can evaporate during the coffee making process (this is just my opinion, you don’t have to stick to it). Then turn on the machine and just wait. The Conair Cuisinart Brew Central coffee maker prepares the coffee with a shower head effect, meaning that water is equally distributed over the coffee. What I really loved here is that if you really can’t wait for your cup of coffee, you can pull the carafe during the coffee making process (once there is enough for one cup) while the rest is in the preparing process. There won’t be any mess, but keep in mind that you only have 30 seconds for this. So be fast! When the coffee is done, there is a beeping sound; wait a couple of seconds before you take the carafe and pour the coffee. I have to say that the coffee maker did some pretty good work in about 5 minutes. It is easy to clean; the carafe is safe to be cleaned in the dishwasher, the filters go straight to the trash bin and another good thing is that there the coffee maker has a light button on the display that “tells” when it’s time for cleaning. You can simply do this by pouring vinegar water into the tank. The charcoal filter must always be removed before cleaning. Well, I guess I picked the right present for my daughter. The price was good, just in time for Christmas, so I didn’t overspend and yet I got a pretty good, fast, and quiet coffee maker. 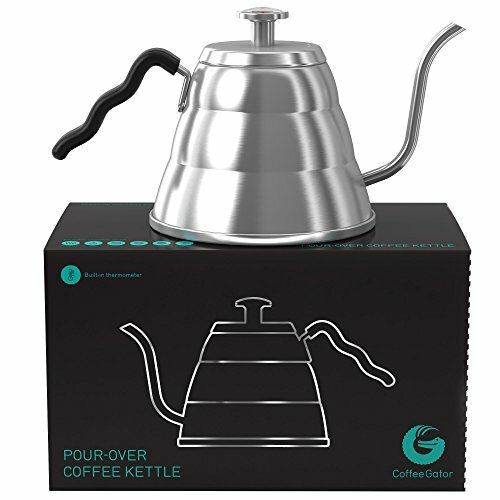 Highly recommending this product to anyone who is a fan of great coffee – 4 stars!